Eating Of Fatty Fish To Cut Your Heart Disease Risk: Consuming fatty fish four times a week may help increase the amount of good cholesterol and prevent the risk of heart disease, finds a study. 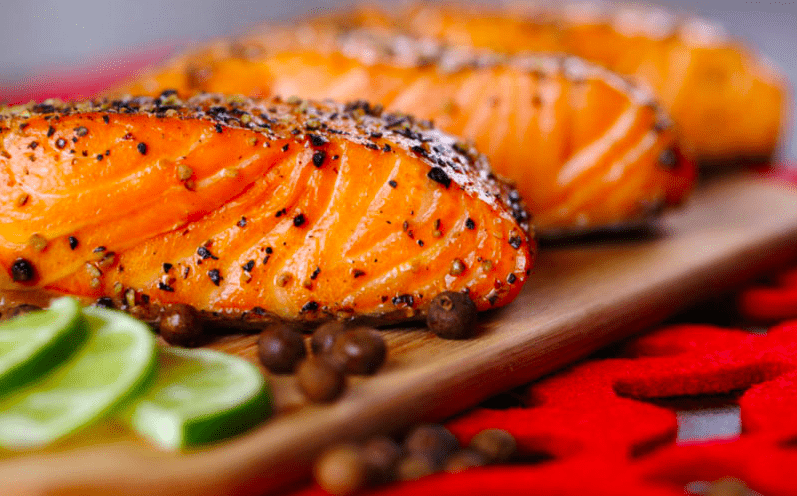 The findings have shown that fatty fish increases the size and lipid composition of high-density lipoprotein particles is also known as good cholesterol, in people with impaired glucose metabolism. Moreover, using daily 30 ml of camelina oil rich in alpha-linolenic acid, which is an essential omega-3 fatty acid was also found to decrease the number of harmful Intermediate-density lipoprotein particles. The Intermediate-density lipoprotein is the precursor of low-density lipoprotein, which is also known as the bad cholesterol. Previous studies have shown that long-chain omega-3 fatty acids found in fish have a beneficial effect on lipoprotein size and composition. For the study, published in the journal Molecular Nutrition & Food Research, the team involving nearly 100 Finnish men and women aged between 40 and 72, with impaired glucose metabolism. Study participants are randomly dividing into four groups for a 12-week intervention: the camelina oil group, the fatty fish group, the lean fish group, and the control group. While people in the camelina oil group, fatty fish group, showed potentially higher HDL and lower Intermediate-density lipoprotein cholesterol level, eating lean fish, was not associating with changes in the number, size or composition of lipoprotein particles, the researchers say. So, these are the points to describe on the Eating of fatty fish to cut your heart disease risk.